Distribution area: The snake lives in the southern provinces of Thailand from Suratthani. Habitat and behaviour: Sibynophis melanocephalus inhabits the South of Thailand between Nakhon Sri Tammarat and the Malayan border. The snake lives in the lowland in forests and cultivated areas. Often they can be found near water. They have numerous teeth which are closely set on the maxillary, palatine, pterygoid and dentary bones. All teeth are of equal size. The subfamily Sibynophis contains several species (in Thailand: Sibynophis collaris, Sibynophis geminatus and Sibynophis triangularis), which inhabit wide parts of Southeast Asia. The English name Malayan Blacked is quite incorrect as the color of the head can differ between black, grey, brown and red. The Malayan Blackhead is active during the day. It mostly lives on the ground. 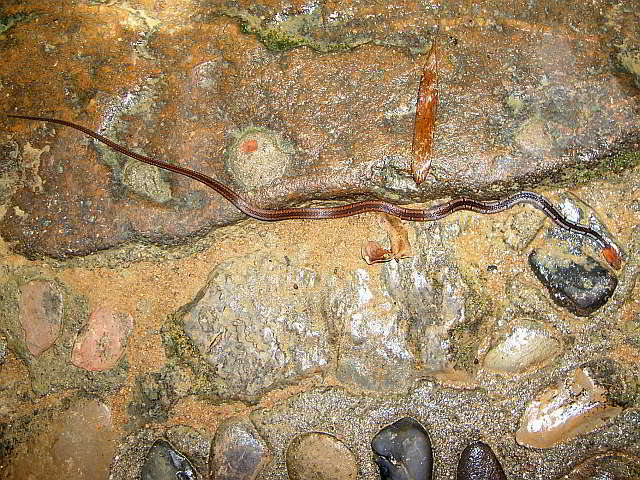 The malayan Blackhead is a day active grounddwelling snake. It feeds on lizards (skinks and agama) und probably on frogs. In captivity these snakes did eat locusts. The snakes are oviparous and reported to produce between 2 and 5 eggs per clutch.